This week on That’s Entertainment Dave Griffiths joins Ed Phillips to chat about new films Guardians Of The Galaxy Vol 2, Bad Girl, Free Fire and Rules Don’t Apply. This week on The Good The Bad The Ugly Film Show Adam, Dave, Greg and Nick take a look at new release films ‘Berlin Syndrome,’ ‘Colossal,’ ‘Denial,’ ‘Frantz,’ ‘The Fate Of The Furious,’ ‘My Pet Dinosaur,’ ‘Going In Style,’ ‘Raw,’ ‘Their Finest,’ ‘Personal Shoper’ and ‘Certain Women’. This episode also contains interviews with Vin Diesel, Charlize Theron, Kristy Matheson (ACMI) and Matt Drummond. This week on That’s Entertainment Dave Griffiths joins Ed Phillips to chat about new films Berlin Syndrome, Going In Style, My Pet Dinosaur and Certain Women. Summary: When a young vegetarian undergoes a carnivorous hazing ritual at vet school, an unbidden taste for meat begins to grow in her. Often when a horror movie is really being talked about as ‘one of the horror movies of the year’ it ends up being a complete disappointment once you actually you get a chance to watch it. That was certainly a fear for me going to watch Raw. As many of you would know horror is one of my favourite genres but often when a film is really being ‘pumped up’ I get my hopes up and then find myself largely disappointed… as was the recent case with Get Out. You’ll be happy to know though that wasn’t the case with Raw… no, once again Monster Pictures have brought us Aussies one horror film that certainly lives up to all the hype. From French director Julia Ducournau (TV’s Mange) the film explores the events that follow after young vegetarian, Justine (Garance Marillier – Solo Rex, Junior) who during a hazing ritual tastes meat for the first time. As an unexplained taste for meat suddenly rises in her, she finds her relationships with her sister Alexia (Ella Rumpf – Tiger Girl, War) suddenly spiralling. As the gifted young student also finds herself attracted to some of the men around her another hunger is also awakened. The only people that are going to be disappointed by Raw are those that will go into this film expecting to be like the more subtle horror films come out in Hollywood at the moment. Raw is gritty, but not to the point where it is a filmmaker only out for the shock value. Instead, it is a creative film with a well-developed and surprising screenplay also created by Ducournau. While some may argue that the film has a plot aimed at exploring man and woman’s need to eat meat, the basis of this film is a storyline that shows a young woman’s needs and desires developing in a way that cinema has rarely done in the past. Rather than using shock tactics the film instead takes an artistic Argento-style feel which only intensifies some of the film’s more suspenseful scenes. Few screenwriters, Joss Whedon aside, have developed plots that explore human sexuality and needs with such brilliant subtext and Ducournau is a smart-enough screenwriter not to let that bog down her film and her script and instead the film delivers a fair amount suspense as the audience is taken on a journey as Justine’s needs develop and they try to work out not only exactly what is happening to her but also just how it’s going to affect her life in the long run. Ducournau’s screenplay is also the perfect vehicle for young actresses Garance Marillier and Ella Rumpf to really show just how exciting their skills are. The pair brilliantly delivers not only during some of the film’s more confronting scenes but also excel at some of the more intense scenes as their relationship is pushed to breaking point. Normally scenes of this intensity would really challenge actresses at this age but together here Marillier and Rumpf deliver performances that should silence anyone that says horror films rarely produce classic acting moments these days. Raw is one of those horror films that really sticks with you. Not because it plants a horrific imprint on your brain but because it is a genre film with a real arthouse feel that further enhances the film. As you watch the film, you also get a distinct feeling that Ducournau is a director that we are going to be talking about for a long time to come as her directional stylings are a breath of fresh air in a genre that is being held back by some average Hollywood films. Other Subculture Entertainment Raw Reviews: Nil. This week on That’s Entertainment Dave Griffiths joins Ed Phillips to chat about new films Denial, The Fate Of The Furious, Personal Shopper and Dance Academy: The Movie. 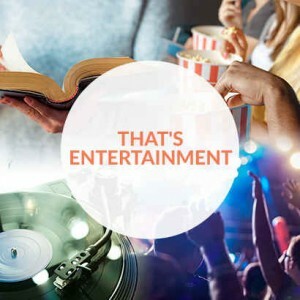 This week on That’s Entertainment Dave Griffiths joins Clinton Maynard to chat about new films The Lego Batman Movie, The Death And Life Of Otto Bloom, Smurfs: The Lost Village and Chips. This week on The Good The Bad The Ugly Film Show Adam, Dave, Greg and Nick take a look at new release films ‘Chips,’ ‘The Country Doctor,’ ‘Dance Academy: The Movie,’ and ‘Zach’s Ceremony’. This episode also contains interviews with Dax Shepard, Michael Pena, Joanne Werner, Wassim Hawat (Out For Vengeance), Elliott Wheeler (The Get Down), Lynette Curran (Young At Heart Film Festival), Michael Smith (Voyage Of The Southern Sun) and John Butler (Handsome Devil). This week on That’s Entertainment Dave Griffiths joins Ed Phillips to chat about new films Loving, Ghost In The Shell, Life and The Boss Baby. This week on The Good The Bad The Ugly Film Show Adam, Dave, Greg and Nick take a look at new release films ‘Ghost In The Shell,’ ‘Land Of Mine,’ ‘The Lego Batman Movie,’ ‘A Man Called Ove,’ and ‘Smurfs: The Lost Village’. This episode also contains interviews with Scarlett Johansson, Will Arnett, Michael Cera, Zach Galifianakis, Julia Roberts, Andrew Leavold (The Search For Weng Weng), Roberta Ciabarra (Clash), Aaron Peterson (Zach’s Ceremony) and Alec Doomadgee (Zach’s Ceremony). Also make sure you listen to this week’s episode to see how you can win an amazing Hacksaw Ridge pack thanks to our friends at Icon. There are two packs that you can win – the first contains a copy of Hacksaw Ridge on DVD, plus a Hacksaw Ridge cap and T-Shirt – the second contains DVD copies of Hacksaw Ridge, Creation, Love & Mercy, 12 Years A Slave and The Man Who Knew Infinity. To be in with a chance to win simply listen to thsi week’s show and then answer the question through a private message on either our Facebook or Twitter page. Also make sure you listen to this week’s episode to see how you can win a copy of Fear The Walking Dead Season Two on DVD thanks to our friends at Icon. To be in with a chance to win simply listen to this week’s show and then answer the question through a private message on either our Facebook or Twitter page.